I absolutely adore this movie. 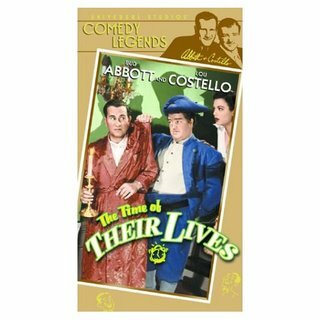 This was the second, and last, movie where Abbott and Costello did not play a team. Costello plays Horatio Prim who, along with Melody Allen (played by Marjorie Reynolds), was wrongly shot for being a traitor to the Colonial troops during the Revolutionary War. There is a cursed placed on their souls and they are bound to the grounds of Melody's fiancee,Tom's, plantation. Then 160 years later Abbott arrives with a young couple who have restored the mansion. They all must find the proof to set Horatio and Melody free. This is a very funny and cute movie. I will add this to our DVD collection - I can see myself watching this many times.